Car accidents can do more damage than simply putting your car in the shop. According to the National Highway Transportation Safety Administration (NHTSA), 2.3 million Americans were injured in car accidents in 2014. The good news is that with increased safety awareness and major advances in vehicle technology and design, those numbers are gradually decreasing. The bad news, of course, is that even ONE accident can cause serious injuries. If you or someone you love has been involved in a car accident, the attorneys at Taylor King cannot overstate the importance of getting medical attention as soon as possible, even if you initially feel fine. Why? 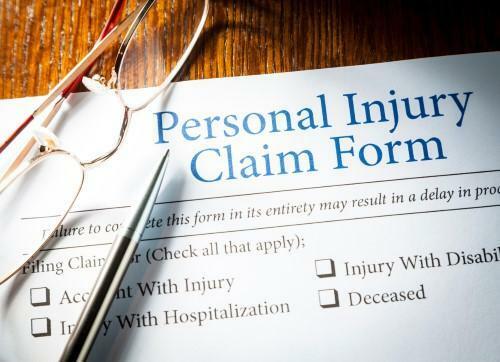 While you might not be experiencing an obvious injury like a broken leg, you may have internal injuries or head trauma that won’t show symptoms for several days – but could be doing serious harm in the meantime. 1. Whiplash is one of the most common injuries resulting from a car accident. Whiplash occurs when your head and neck are suddenly jerked back and forth (like the cracking of a whip…hence the name). It most often occurs in rear-end collisions. Symptoms include neck pain, stiffness, and headaches. Most of those symptoms resolve over time, but may require medication, therapy, or chiropractic work. A smaller number will suffer from chronic neck problems and pain afterward. Other, more serious possible neck injuries include disc injury and cervical radiculopathy (irritated nerves). 2. Concussions are another well-known car wreck injury and is usually caused by hitting your head on part of the car, like the steering wheel or window, giving your brain a “jolt” that can actually cause it to move in your skull.They’ve received recent attention for being more serious than previously thought, with doctors seeing long-term consequences in athletes who experience concussions more often than the average person. A concussion is actually classified as a mild traumatic brain injury. If you or someone you love has been involved in a car wreck, watch for signs of a concussion: confusion, slurred speech, nausea or vomiting, headaches, blurred vision, or memory loss, to name a few. A doctor will be able to diagnose a concussion if you seek medical attention after your accident. 3. Back Injuries – Your spine is divided into three different sections: cervical, thoracic, and lumbar vertebrae. With all of the discs, muscles, tendons and nerves in your spinal area, a back injury may be very painful. In a car wreck, back injuries can range from strained muscles or dislocated discs to serious spinal cord trauma. In many cases, chiropractic work or physical therapy can relieve pain and help realign your spine, but some injuries may require surgery to restore mobility. You should never ignore back pain after being in an accident. 4. Leg and Knee Injuries – Most people think of upper body injuries when discussing car wrecks, but your legs and knees are also at risk. This is usually results when a passenger hits their knees or legs on the dashboard, or when part of the car is smashed inward. The knee area, with its ligaments and tendons, is especially prone to injury. Other possible injuries include fractures, broken bones, or cuts and bruises. If you have “soft tissue” injuries, and not broken bones or open wounds, then you should consider seeing a chiropractor for treatment. Chiropractors are health care professionals who treat musculoskeletal injuries, particularly neck, back and spine issues. While they cannot prescribe medication, they can treat your injuries with a variety of adjustments, manipulations and massage. If you were injured in a car accident where you were not at fault, your chiropractic visits could be covered as part of your personal injury settlement.